As I spoke about in Conflict and Tension, Part 1, Conflict is one of the most important factors in any novel. We discussed in that first blog post how much and what kind of conflict and tension we need. Now I want to address some of the comments my post received, in which writers said they struggled with being “mean” to their characters, or not wanting to hurt them, as this is something I've struggled with too. We want our readers to feel an attachment to our characters, to feel what they’re feeling, and to empathize with them. But it can be a problem if we as the author are too attached to those characters. I had been taught this (or read it somewhere) early in my writing endeavors, but I’ve needed to be reminded of this recently! More on that later. In my first published novel, The Healer’s Apprentice, I was plotting as I wrote. I reached a point where I thought, “If the heroine gets deathly ill, that could work well for the plot.” But I cringed inwardly. I didn’t want my heroine to get sick. Wait, WHAT!? This was a no-no and I knew it! I couldn’t let compassion for my character cause me to pull back from a conflict that would make the story better. Basically, it came down to this: Did I want to write a great story? Or did I want an imaginary friend? Seriously. Think about it. Do I want and need to write a great story that keeps readers engaged and sells lots of books? Or do I need an imaginary friend who’s happy with me for protecting them from harm? It sounds silly, but it’s true. If Rose, my heroine, had been a real person, then I would never want to make her get seriously sick. I’m not sadistic or into being cruel to people. But this was a story, and I could NOT let myself feel sorry for my character, or get too attached to her. I needed to detach from my character for the sake of the story. And so I let her contract meningitis and get to the point of near-death. And that led to a lovely scene where the hero was able to show off his heroism by finding and saving the heroine, who was stranded in the woods. He was in great anguish over the heroine’s possible death, and it pushed him to declare his love for her as soon as she was recovering. That led the heroine to selflessly refuse his proposal of marriage, in order to save him from the consequences that would ensue if he gave up his rights as the oldest son of a duke to marry a peasant. That's a mouthful, but just know that it produced a great chain of events and lots of lovely angst. And angst is conflict, and conflict is good. 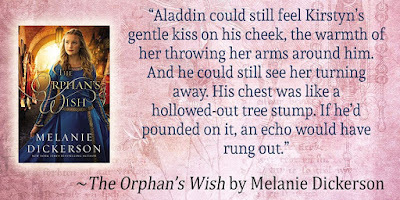 I came up against this problem in the last book I wrote, The Orphan’s Wish. I was too attached to my hero, though I wasn’t really aware of it at the time, and it made it so much more difficult to write the story. I knew bad things needed to happen, but it was hard, and I found myself smoothing things over for my hero. I let him get out of his difficulties rather too easily. But through rewrites and editing, I worked hard on fixing this problem, thanks to great editors and a great agent, who read the story and said the words you never want to hear: "This needs more work." But it just goes to show, you need to keep reminding yourself of good writing techniques and principles. Or I do, anyway. The possibilities are endless, and one question won’t necessarily carry you through till the end of the story. You must be prepared to let one question be answered—let that conflict be resolved—if that is what works for the story. But if you do, you MUST HAVE A NEW CONFLICT to take its place, more tension, more reasons why the reader will want to keep turning pages. And that will be our topic for my next post, Conflict and Tension, Part 3. So, discussion time. Have you caught yourself holding back because you didn’t want to be “mean” to your characters? Are you being "mean enough" to your characters? Also, what questions are you forcing on your reader so that they will keep turning pages to get that question answered? I will give away a copy of my Little Mermaid retelling, The Silent Songbird, to one commenter. 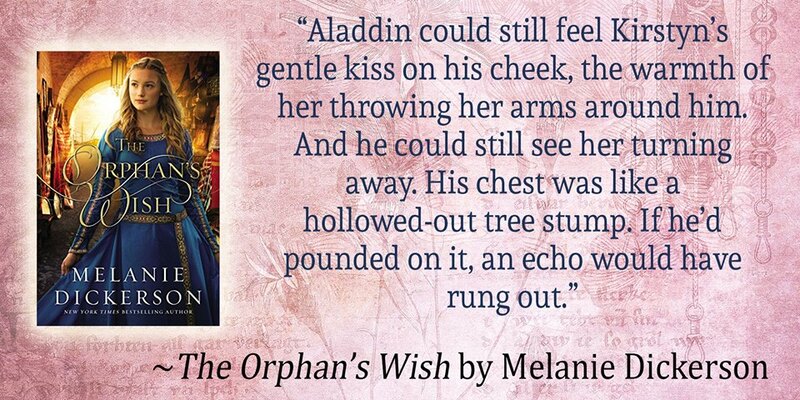 And here's my Aladdin retelling, The Orphan's Wish, releasing June 26th. 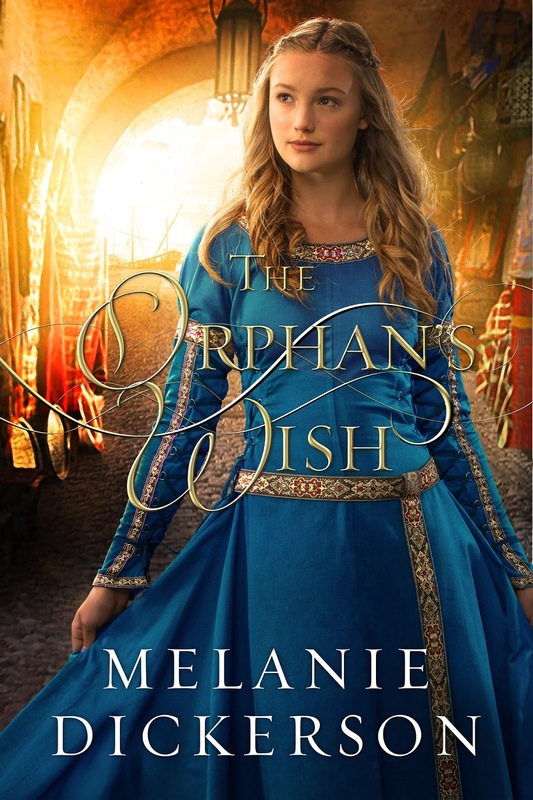 Melanie Dickerson is the author of fairy tale retellings set in Medieval Europe, as well as a trilogy of Regency romance novels. Her 14th book releases June 26th. When she's not plotting mean things happening to her characters, she's writing, spending time on facebook, reading devotionals (which she has an addiction to), or panicking over a deadline. Oh, and you can frequently find her in Seekerville, blogging and commenting. 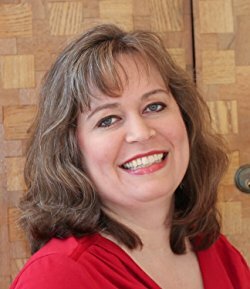 Visit her Amazon author page, where you can click the "follow" button and get notified whenever she has a new book out. This is a good post. It is hard to have our characters going through painful conflict. But then we all have to go through conflicts in our lives. It is how we deal with the conflicts and trials that counts, I am sure it is the same with the characters we write. I am facing something new in my life. In a few minutes I will be leaving to have some tests done which may or may not reveal cancer. I have to keep reminding myself that God is in control and is going through this with me. The thought did cross my mind that what I am going through now could at some point appear in a book I write. I hope everyone will have a great day. Wilani, I will pray for you now. Hang in there. Wilani, I am saying a prayer for you right now, that you will feel God's presence, because he is indeed with you, and that the tests will NOT reveal cancer. Praying for you to have peace, because sometimes the torture of worry is worse than the thing we're worried about. That's me, anyway. You are so right. It's through the conflicts that we see our characters in action and develop our feelings about them. And with writing, it's all about producing feelings in the reader! Wilani, praying for you as you undergo your tests. May the Lord's peace be with you. Praying for peace as you go through the testing and wait for the results. Also praying for a good outcome! No cancer The cyst completely disappeared. The Lord is good. YAY!!! So glad to hear that, Wilani!!! God is looking out for you! Thanks for sharing that great news, Wilani! What wonderful news, Wilani! I'm happy for you. You must be relieved. Wilani, praying for you right now. O, now I read down the comments. YAY! Such great news! Thank you, Wilani for sharing with us! Melanie, I LOVE THIS. Especially this. "Or do I need an imaginary friend who’s happy with me for protecting them from harm?" I have enough imaginary friends. In my current WIP the hero initially holds off from the heroine because she rejected him in high school. (It's a reunion romance. Obviously.) She comes back and they begin to kindle something -- until he finds out that her feckless father was the hit-and-run driver that killed his first wife, and she UNKNOWNINGLY helped him cover up the crime. Paul moves away from Jill so he can process this, and Jill, who has already lost her job, has nothing. Which propels her to accept Christ. Which Changes Everything. Melanie, I am so glad you joined the Seeker staff, this post and your others have been helpful. Kathy, that sounds like a really great story! And accepting Jesus and what he did for us DOES change everything!!! :-) If we're too attached to our characters, it makes us not want them to hurt. But hurt can literally bring us to the greatest things in life, like finding and accepting Christ. Great job!!! Aw, that is sweet of you, Kathy! I love being here. It's fun for me! And I hope I am helping, as I was helped when I was a newbie. God bless! That's what I like. We're all on the same journey, just at different stages. Hey, Mel, fun post, my friend! Your new book looks reallly good, my friend, but I would expect nothing else. I do have a question, however. I noticed you used the real fairy-tale name for the hero -- Alladin. I think that's the first time you used the actual name from the fairy-tale you are replicating, true? If so, I'm curious as to why. Ah yes, the pain of those critical reviews. As well as the pain of wondering if the edits are making the story better--or worse! Or just different. LOL! I've had that happen a few times too, where I made changes because the editor suggested it, and then was criticized for not doing what I had originally done! But that's the subjective nature of fiction. And I'm sure the edits made the book stronger. It's just so easy to second-guess ourselves. Maybe if you re-release it you can tweak it some more, to your own liking!!! Julie - pardon me for jumping into this conversation, but I just couldn't help it. I know I've told you before that A Passion Denied is my favorite Julie Lessman book. and despite how WONDERFUL all your books are, I cannot imagine changing my opinion. That said, I have also told you Brady's predicament made me cry - three times - and I am not someone who cries over books. So, your editor had me pegged on that one. Anymore struggles for Brady and I might not have been able to handle that. Julie, I love the way you write with such passion and you made me fall in love with Brady. IMHO, quite in enough passion and pain in APD. LOL. JULIE, you mean to tell me Brady's story was TONED DOWN?!! So true. The unanswered ones, the ones lurking to spill, but haven't quite gotten there yet. I know when it's a good one, I couldn't turn the pages fast enough! It's not easy being mean. No, wait. It's not easy being green. OR at least so says Kermit the Frog. My bad. Good morning, Melanie. Excellent post. Yes, it is difficult to be mean to these people we create, but it's a necessary evil. Yet it seems I always have to remind myself just how beneficial it is for both the story and the characters. As Donald Maass is fond of saying, "What's the worst thing that can happen to your character?" It's a phrase that still lives in my mind. Thanks, Mindy! Just remember, you NEED a great story, not a great imaginary friend! LOL! Great post, Melanie. I have tried to keep that in mind when I write my book. I'm sure I still have a lot of work to do. This is a stressful time for me. My mom is in the hospital and it isn't good. She has had MS for 36 years and has been in the nursing home for the past couple of years. Now she has pneumonia and other problems and we are just waiting to see what happens next. We are not doing any extreme care--just keeping her comfortable. All of my siblings have come home. Oh, Sandy, I'm so sorry. That is certainly stressful. I pray God will be with everyone, all of your family, and your mother will get the best possible loving care. So sorry to hear this, Sandy! I will keep you, your mom, and your family in my prayers. Sandy, I'm so very sorry. Will be praying for all of you. Thank you, Jan and Missy. We are putting her on hospice today. It will just be a matter of time. Melanie, I enjoyed your post and learning just how hard it can be for authors to create some of the situations for their characters. I just finished Fugitive Spy by Jordyn Redwood and my constant question was "How can this be happening to such a God loving man?" I knew the answer off course. Every day terrible things happen to God loving people and Ms. Redwood knew this! Hi, Connie! Yes, the things that happen in a book can remind of real life, the bad things that happen to good people for seemingly no reason. But writing fiction helps remind me that God can use even the worst things for good. Thanks for commenting! Nice post! That's one thing I need to work on, getting mean to my characters! It's hard but necessary, LeAnne! We have to detach, even if only temporarily, so we can made the story the best it can be! It's raining--flooding, actually--here in North Alabama. When I took my daughter to school the roadside ditches were like white water rapids. So I've brought some comforting hot oatmeal with walnuts, dried cranberries, and blueberries to sprinkle over the top. Also brought some Boston Creme coffee cakes (they look like little ganache-covered muffins!) from Atlanta Bread Company, because they are my favorite!!! Yum!!! Hey, Ruthy, do you have the recipe for Boston Creme Coffee Cake??? Atlanta Bread Company! I love that place, but haven't been to one since we moved away from Kentucky! Love The Oatmeal. I'll eat anything with cranberries and walnuts. Oh my stars, no, but now I want the recipe for Boston Cream Coffee Cake!!!! We had an Atlanta Bread Co. here on the East side of town but it's gone now... the whole "BLAME BREAD FOR EVERYTHING" craze really did a number on bread bakeries, and you know what??? People still have weight issues, even after putting bakeries out of business... Ay yi yi... Give me gluten... or give me death. And darling, those little cakes sound perfect as an option instead of DEATH!!!! They are so yummy. I sometimes call them "Boston Cream Muffins" and the associate corrects me, but they're like little sweet muffins with a pudding filling in the center and chocolate ganache on top. Oh my. So dreamy. The funny thing is, I don't even like Boston Cream Cake. Sheesh, I mean Boston Cream Pie. Great post, Melanie! I can't wait for part 3! We need to use tough love with our characters, don't we? We know the internal change they need to make, and we know that they can only get there by going through some terrible things to make them see the need for that change. But, like Wilani said above, it's how we deal with conflict that counts. As authors, we can have our characters respond to the conflict in a way that brings about that necessary change...and when we do that we show our readers how they can deal with the trials in their own lives, either with a positive example or a negative example. Hmm, now it's time to go ramp up the conflict in my WIP! Yep, all true, Jan! And if we can detach from personal feelings about our characters, it can actually be fun to ramp up the conflict, because it moves the story forward, and makes it go "faster" so that it's actually fun, seeing our characters moving from Point A to Point B spiritually and emotionally! Jan, totally get what you are saying. The heroine in my first Christmas romance was sexually molested as a child. I needed to have something big keeping her away from Christ, and something monumental that she'd have to let go in order to let Him in. She's better off now, but it was touch and go for a while -- for both of us. Melanie, I'm dying laughing. Best quote of the year: "Did I want to write a great story? Or did I want an imaginary friend?" Thanks for tweeting, and thanks if you were the one who posted on the Seekerville facebook page! Missy, I loved that, too! 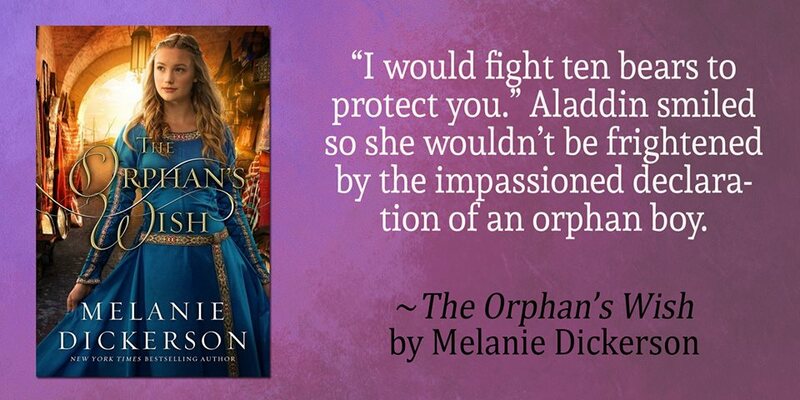 Oh Melanie, I LOVE this post and that's because I so get it! Sometimes I think I am the only one who feels this way, but even as a reader I struggle with this. Could someone just write a lovely little romance that is happy and romantic without characters having to go through all that trauma to get to their HEA? As a writer, sometimes I believe the reason I struggle with putting my characters through struggles is that many of them are actually me disguised as a character in a book - if that makes sense. And yes, I will admit that when it comes to heroes, I have had some very non-fictional feelings about fictional characters. You're not the only one, Cindy! In fact, you sound exactly like me! I turn to a Hallmark-like rom-com when I get in the mood for, as you put it so perfectly, "a lovely little romance that is happy and romantic without characters having to go through all that trauma to get to their HEA"
And yes again, Cindy! Sometimes I've given my character the same struggle I'm going through, and that does make it harder. And those fictional boyfriends. Sigh. The feelings are real, the boyfriend is not. Cindy, there were "lovely little romances." They were our mothers' Harlequins. I'm so glad we're able to write genre romance with some depth, and even tackle some unpleasant subjects. This is truly a great time to be a writer. In some ways. Yes, Davis Bunn is one brilliant guy. I found him to be a very deep thinker! Some of what he said went over my head, if I'm honest. LOL! But you're so right. It's the conflict that helps make our stories, and makes the outcomes FAB! I was over here early but I had online issues and was trying to solve them... Melanie, this is so stinkin' true. I'm a mom. I'm a problem-solver. I want to make things better!!! I want to FIX EVERYONE. Now of course that just ups and ruins a story!!!! Dagnabbit, why can't life just be easy and nice and kind and good???? I hope you solved your issues, Ruthy! Yes, I want to fix and solve and nurture. But that is not what an author needs to do. It does ruin the story if we treat our characters the way we treat our children! Although, we do have to let our kids suffer consequences, as good moms. It's the only way they'll learn anything. Hmmm. Maybe being an author is like being a mom. The only difference is that with our characters we have all the control! With our kids? Not so much. Thanks for coming by, Ruthy! Says the woman who killed off a secondary character in her first book!! Bahahaha! Ruthy, did you do that? I love what you said here about a 'very dark night' and 'morning'. Beautiful. And so true. Even when you know it's your writing goal, it can still be kinda tricky :-) Especially if you're naturally tender-hearted. Very good points, Jenna! I like what you said about having to have some small but personal concerns. I think that would fit into the "stakes" category. Always good to make the reader concerned, whether big things or small. I've let my characters go through some pretty traumatic stuff too, Amy. Usually I can be objective and detached, but occasionally I let myself get too close. :-) Hazards of the job. Haha! Great post, MELANIE! As a reader, it's hard to watch character go through harsh circumstances. Tension does bring depth to the story. Carul, I think it really depends on the circumstances. Sometimes it does feel TOO harsh to me. I don't like books like that. I remember one book I read by a very popular author whose books I normally liked. But this one read differently from her other books. SO MANY bad things happened, and they were SO BAD! One after another. I was so frustrated at the end of that book. I did not enjoy it at all. Just too much IMO. Okay, I will admit to torturing people... but only because it REALLY happens, not because I'm some kind of evil sadist who likes it... how does an author make a point of hope and redemption and change and kindness if there aren't stumbling blocks (some of mine are more like stumbling mountain ranges, and I'm okay with that.) :) along the way? This is a great post, Melanie, and suffering becomes you! Haha! You know I love you. And yes, my name is derived from the same root word as "melancholy" and means "black" so I was doomed to suffer, Ruthy. It's hit and miss around here! I have ALWAYS had this problem. I avoid conflict in real life like it's the plague, so to do it to my characters seems so cruel. But I think your phrase about whether you want a character or an imaginary friend might just be a game-changer for me. I need to spend some time pondering that. Thank you! You are most welcome, Glynis! I hope it helps! Remember your goal, which is to be a GREAT NOVELIST, NOT a great friend to imaginary people. 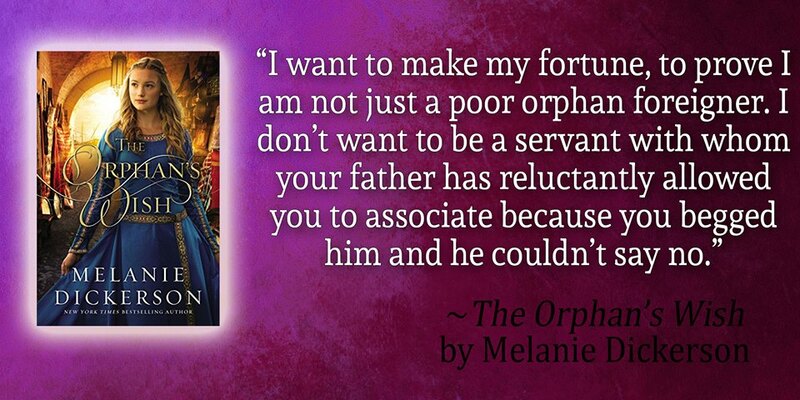 Thanks, Melanie, for a great post! Haha!!! My hero and/or heroine almost ALWAYS get wounded, Debby! There's something so vulnerable and sigh-worthy about a wounded hero, especially. 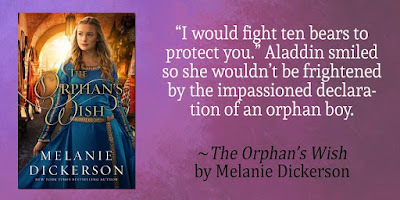 Fantastic post, Melanie! This is what I love about writing...I can be mean, which is out of character for me. Looking forward to your third installment. Haha! Atta girl, Jill! Being mean can be fun. Embrace it! I will also admit I've shed real tears for characters. I also think it's another way to bond your reader to them. I just finished reading Susan Anne Mason's book "A Most Noble Heir" (March release) where she is the master at just this very thing! My heart connected with Nolan--the hero--through all the things she put him through as well as Hannah. Character growth is so important to me as a reader. Without it, it just seems flat to me & I will put the book away. Now that's not to say I won't rant at you in my head as I read your books...lol!! But I know it's for the characters own good sometimes :-) You always redeem yourselves in the end when I close the story with a sigh! I would love to put your name in the ole' fish bowl, Trixi! Thanks for giving a reader's eye view. And thanks for understanding that we have to put our readers through bad things to get to the satisfying ending! I love a good cry while reading a book! :) But I have read some books where it gets a little ridiculous what all they go through--disaster after disaster after disaster. If that happens too much, I feel like the author has yanked around on purpose and get irritated. But when the conflict flows naturally from misfortune or bad decisions, then I enjoy it. I love that movie and I laughed and cried and laughed and cried.... and that's how I like books to affect me. Make me laugh and cry... and I'm a fan forever! I love your question- or did I want an imaginary friend? As a reader it really can seem that way! You highlighted another difference writers must have from readers in order to make the story a priority. Loved this post! Thanks, Heidi! I am entering your name in the drawing! I still struggle with not coddling my characters too much. My husband laughs because he can always tell when I get to a part of a story where things are most unpleasant for my characters, because I get sad. :( LOL! Aw! I'm kind of the same way, Erica! Melanie this is such an encouraging post! I have never really thought about how important it is to put our characters through the tough stuff and not just the tough enough stuff. Awesome! I hope it helps, Kelly! Excellent post, Melly, and exactly what I needed! p.s. I'm later posting due to being out of town on Wednesday visiting my precious grandbaby!! Oh, I am in love with that grandbaby, Patti Jo! She is a two-thumbs up little dolly!!!! That makes me happy, Patti Jo!!! So glad I could help. Keep pushing through with creating that conflict and pain. You will love the results in the end, which is a great story!!! Holly, I couldn't agree more. That subsequent healing means so much more if we see their pain, if we identify with what they're going through. Beautifully stated. Wow, Melanie. I'm not sure I ever really pondered the possibility that being attached to our characters can be detrimental as writers. You've give me much to think about! Thank you. And please enter me in the drawing! Kelly, it's an eye-opener, isn't it? Like... LIGHT BULB MOMENT!!!!!! You're most welcome, Kelly! I hope it helps! Hi, Melanie! I read through several other comments before I was brave enough to confess I'm a mean author. Terrible things happen to my characters, and I get kind of excited when I think of a new terrible event and the chain of reaction it could set off. (I'm the very opposite in person, I promise!) I'm not sure if this is Jerry Jenkins's quote or if he was quoting someone else, but I learned to ask, "What could make this worse?" Then I let my imagination take over from there. P.S. Although I already make bad things happen to my characters, your post gave me some new things to think about, to be more intentional about. Thanks! Karen, if you get more intentional about torturing your characters, I'm not sure I'll survive!! hahah! Karen, is it mean if they aren't real? LOL! I think it makes you a savvy and goal-oriented writer, and that's a very good thing. Keep up the good work! If you think of your characters as actors in your 'novel production', then you'll see how giving them challenging parts is exactly what they most dream about as a way to command the stage and showcase their talent. It's not mean at all. Vince, it's so good to see you! I like your idea of thinking of the characters as actors. I used to envision my stories in my head like a movie. But I've kind of lost that ability. That's a great way to think about it, Vince! Thanks so much for stopping by and commenting! Vince, that's an excellent way to think of it. I'm not being mean to my characters, I'm allowing them to exercise their 'range' on my story's pages! Vince, that is a great analogy! I love that too because it really gives the characters "life" in acting that role. LOL. Gab away. y'all keep spurring on each other and get those stories out and on pages!